Posted on November 28, 2018 at 2:59 pm. 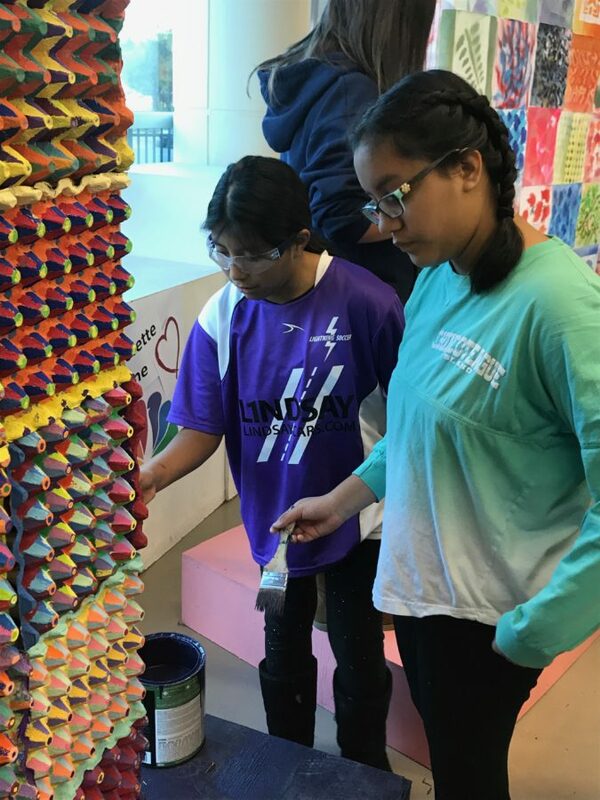 As the new Ballston Quarter opens, visitors will be able to see artwork created by Kenmore students. 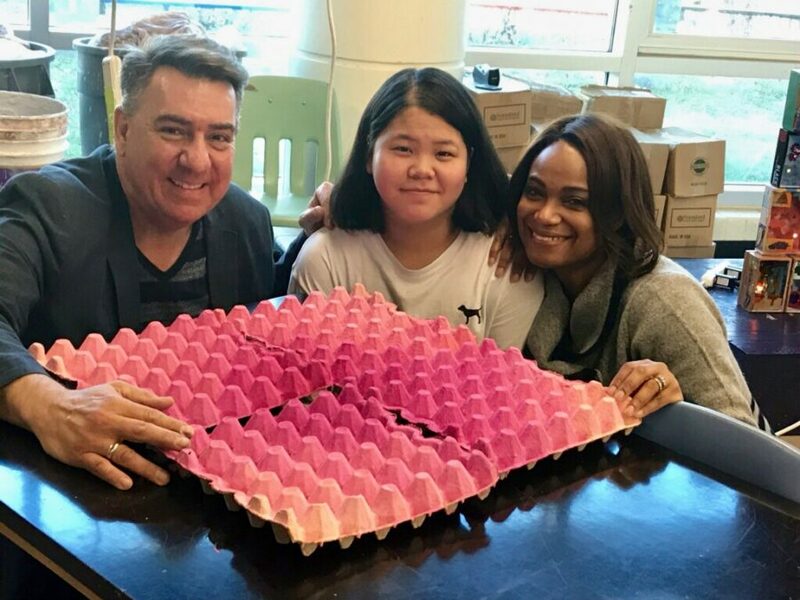 Under the guidance of art teacher Jeff Wilson, students created a public art installation that will be featured at Ballston Quarter throughout the month of December. 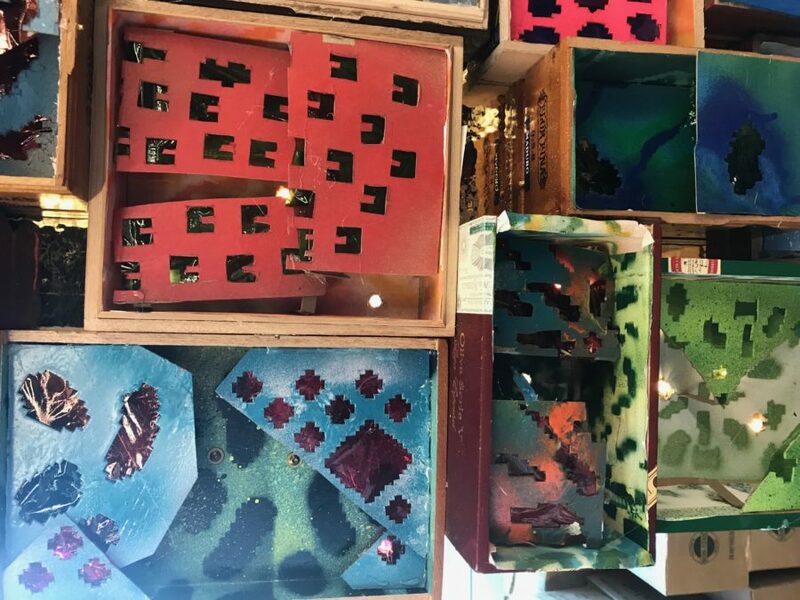 Students designed wooden cigar boxes using color, light, and patterns drawn from nature. 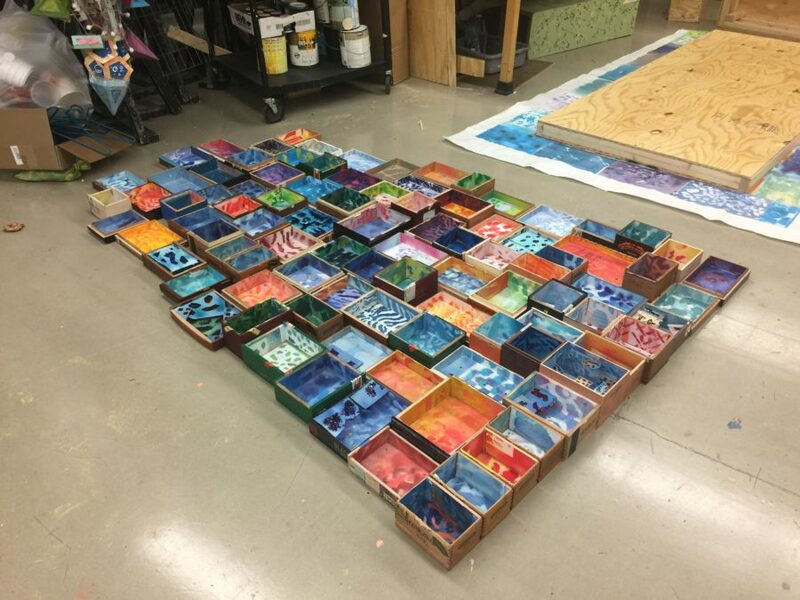 Once assembled, the individual boxes form a large illuminated relief sculpture. Included in the installation are large panels constructed by students and wrapped with color studies done by students prior to designing their lightboxes. 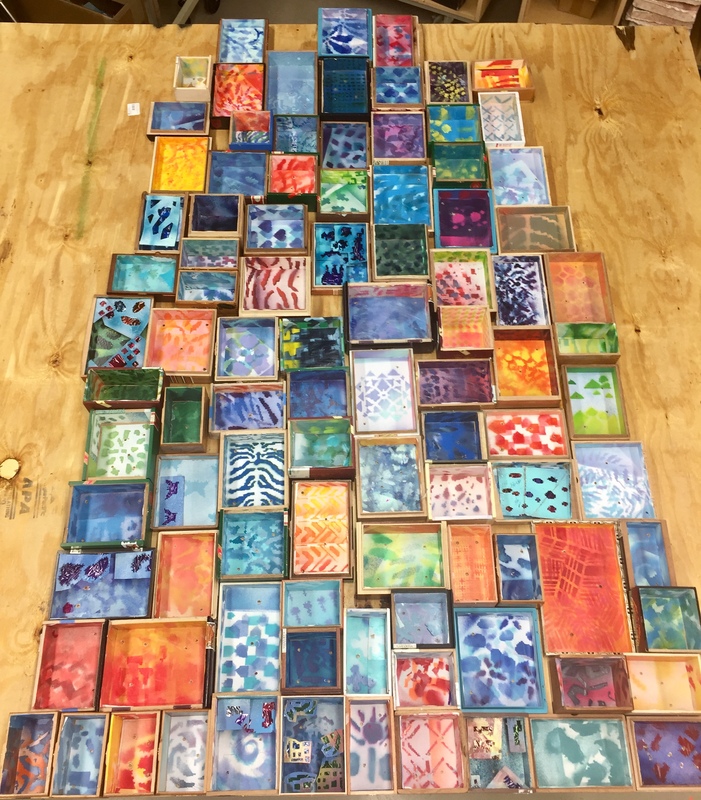 Teaching with the end in mind, Wilson had students create several color studies. 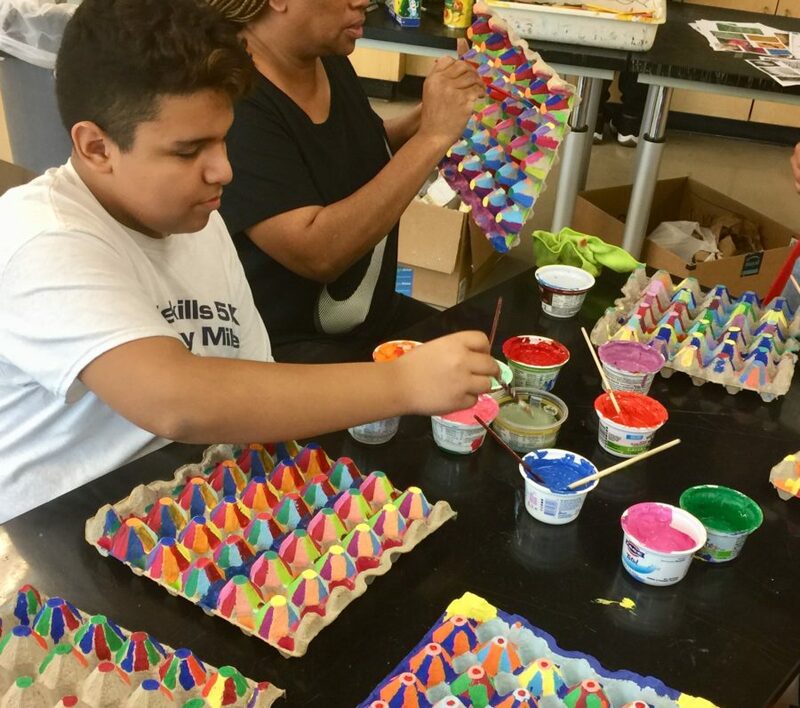 Along the way they learned about color theory, patterns, shape, the color wheel and the importance of transitions. 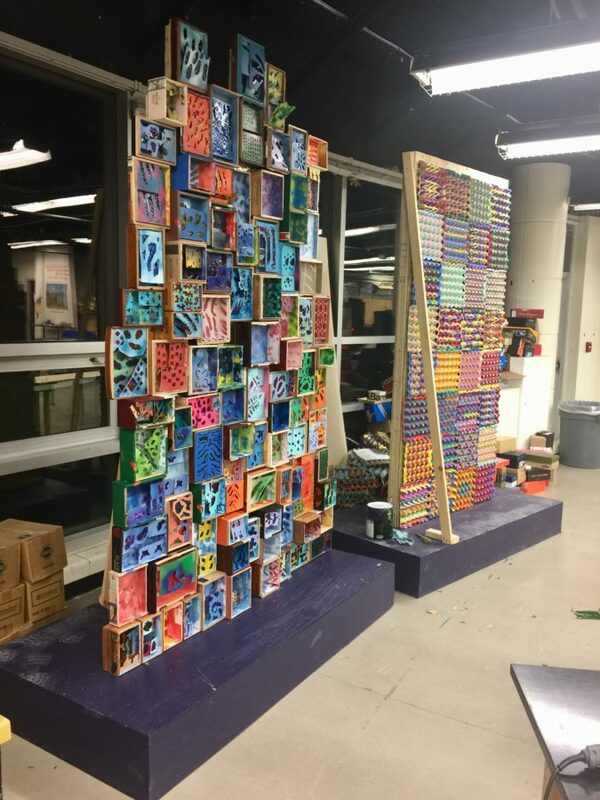 The color studies have been turned into large compositions created by the students to add to the vibrancy of the installation. 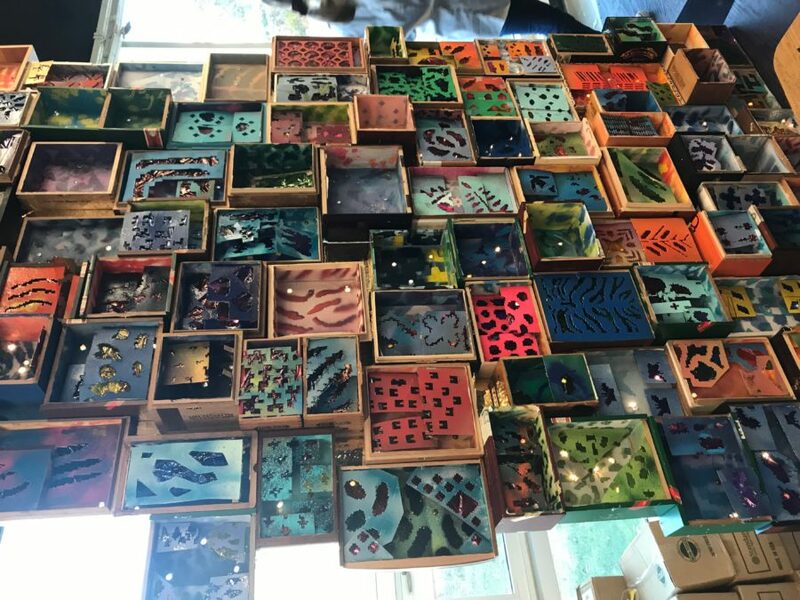 Students learned how a grid system can provide a unifying framework for many variations on a theme of light and color and how grid and geometry relationships can be used to help construct and assemble elements of the light box structures. 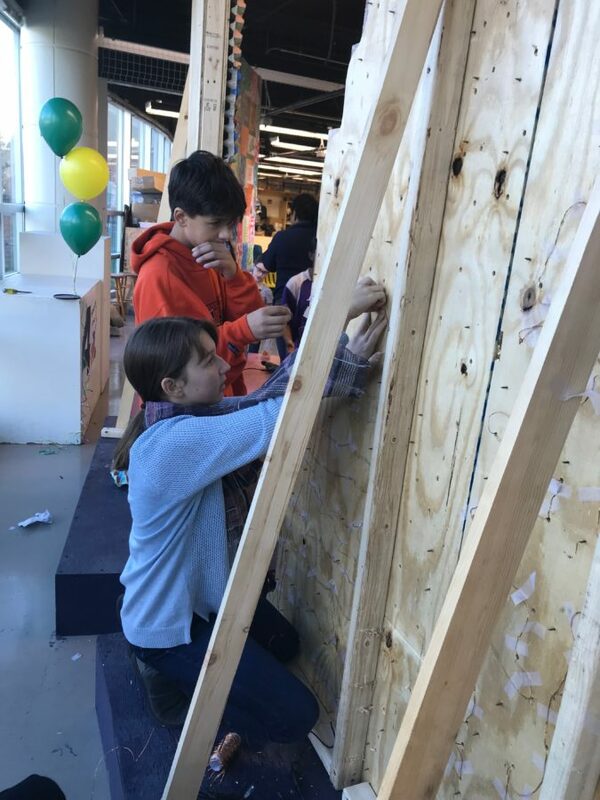 As students built platforms and panels needed for the installation, they learned to use power tools effectively and safely. 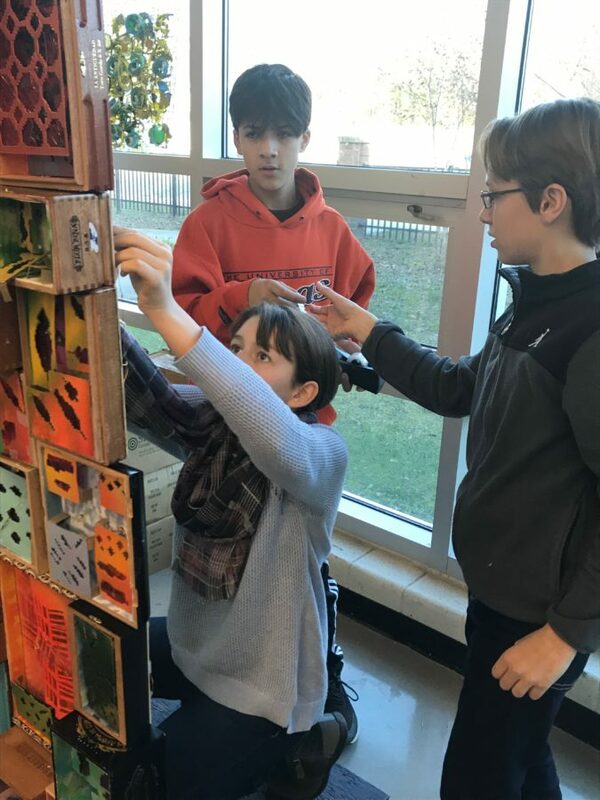 While planning, students learned to consider the qualifications of public art including scale, mobility, assembly, travel, response to the site and marketing. 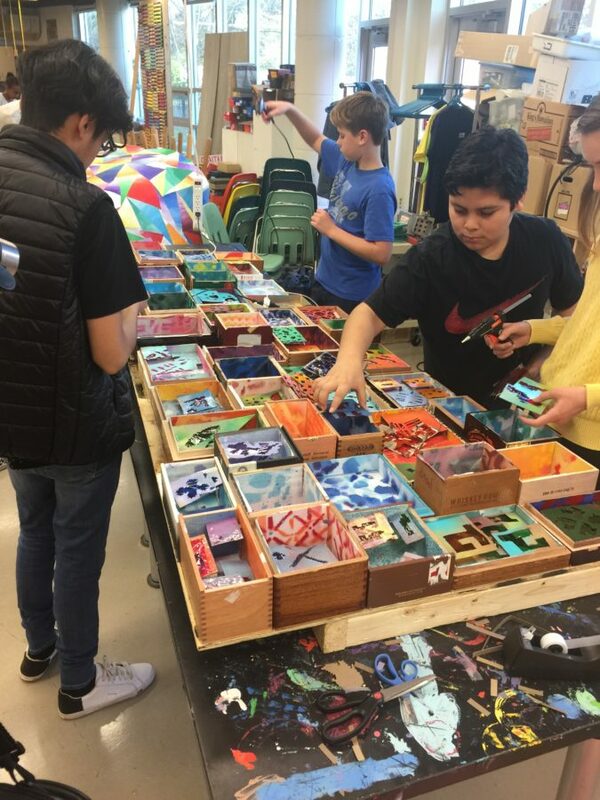 Students also considered the role of art in society and how an individual’s art can contribute to a larger, collaborative piece that has a larger impact. 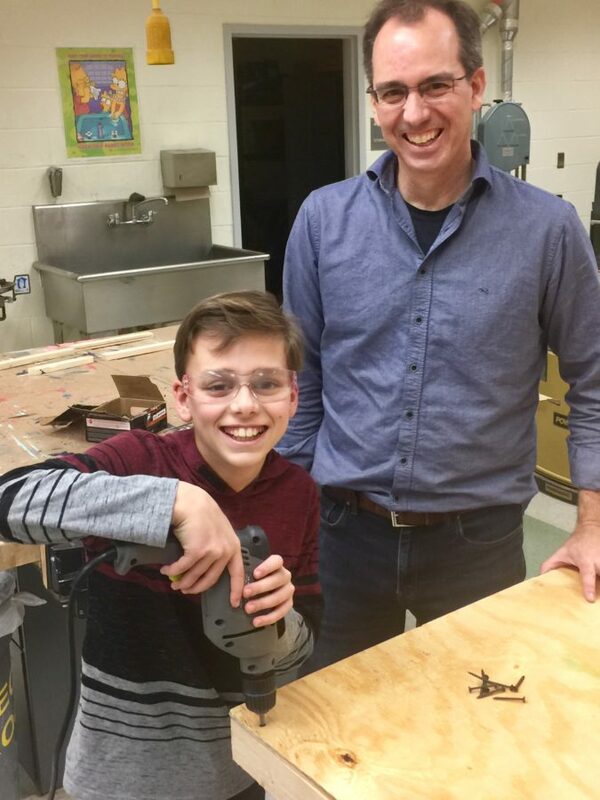 “I learned how to use a drill because I did not know how to use one before. 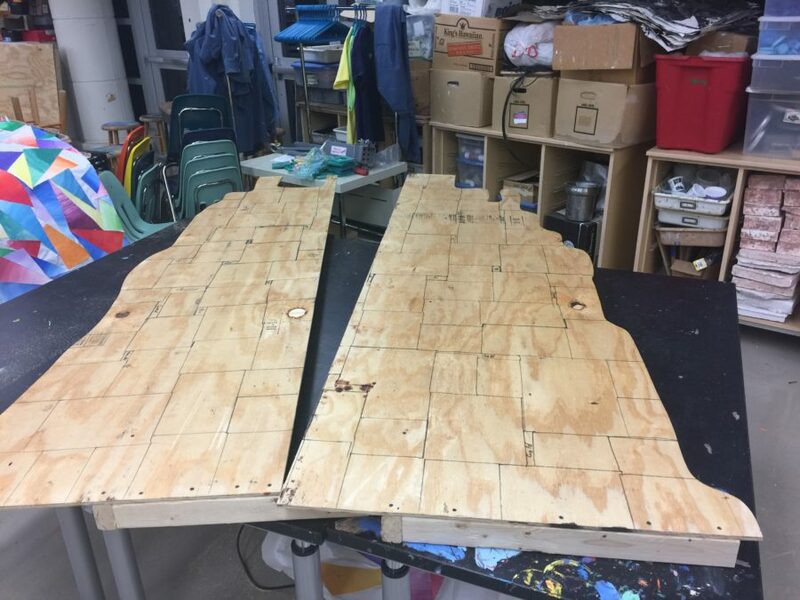 I learned that when you are building something, it needs a lot of planning. 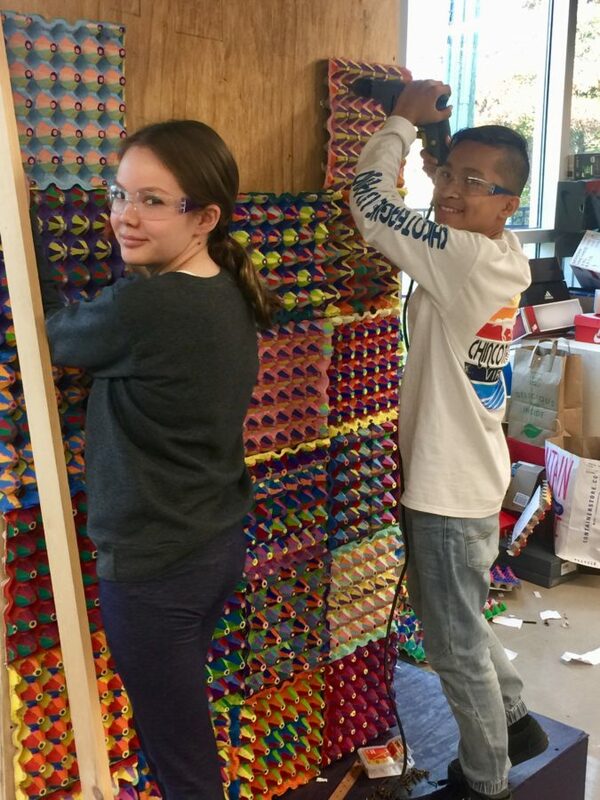 You can’t just glue stuff together you have to know where it goes and you need to plan it out,” said seventh grade student Emma Holcomb. 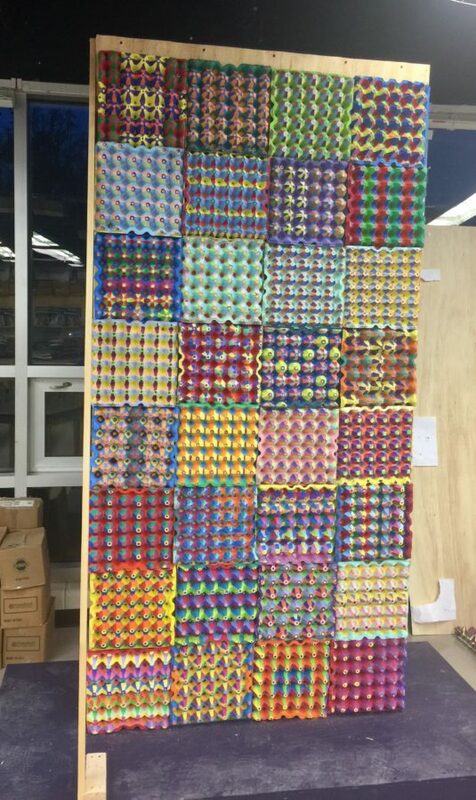 Students are very excited to see their final project on display. 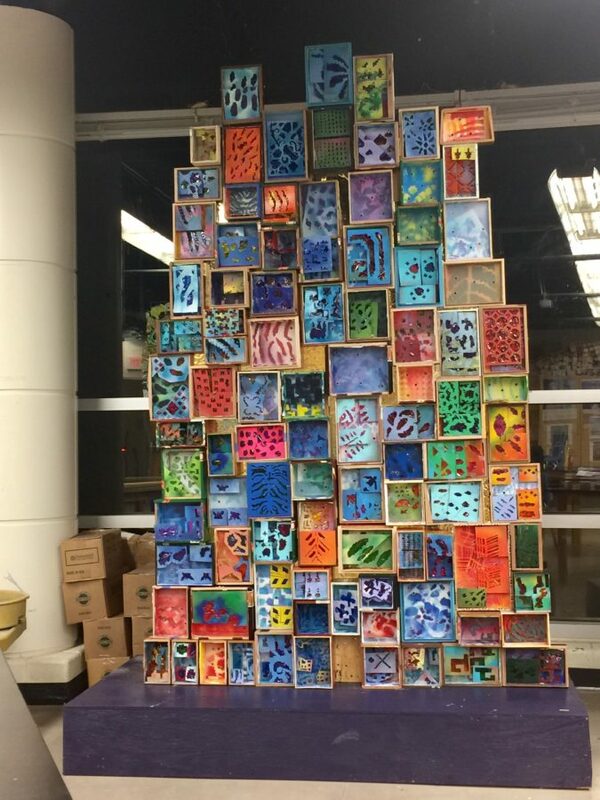 “I am really excited for this to go into the mall so people can see it,” said seventh grader Sylvia Berg-Reuter. 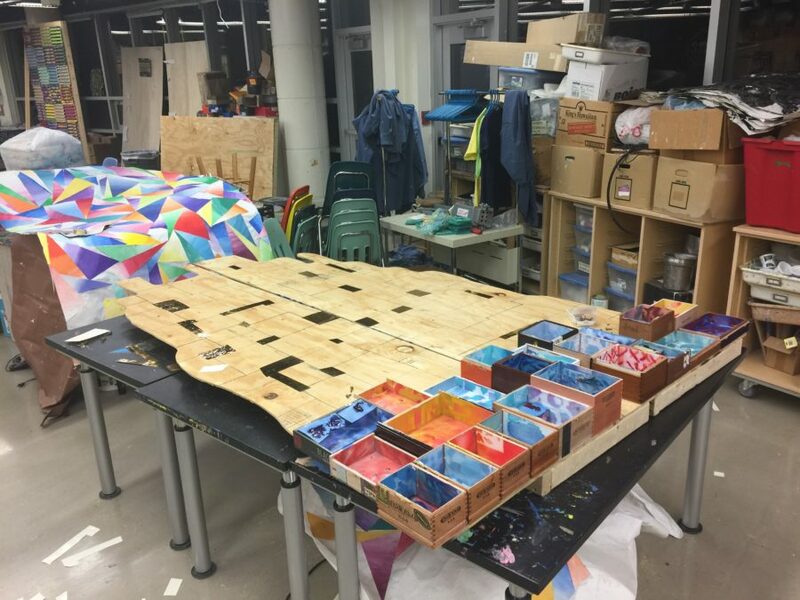 As a culminating activity, students will visit the mall to see the public interacting with their work as well as a commissioned installation by professional artist Jen Lewin. NBCWashington also came to Kenmore to do a story about the project which will air in December.